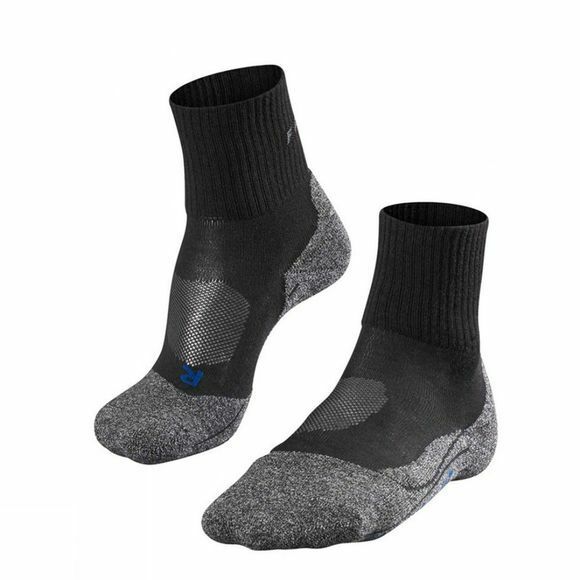 The Falke Men's TK2 Short Cool sock is a medium volume sock for demanding day walks and urban exploration. Made from a specially developed, quick drying synthetic material helps keep your dry as well as drying quickly when washed, allowing you to take less socks on any trip. Good protection and direct contact. Specially developed functional material for quick drying. Suitable for light hiking and approach shoes–short cut.